At the very core of any great piece of writing is voice. 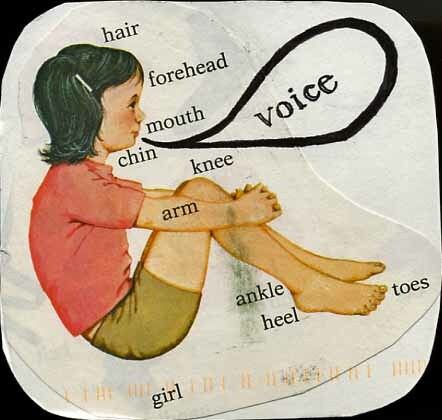 Technically, “voice” is a combination of syntax, diction, punctuation, character development, and dialogue. In short, it’s the personality of the piece. Two of my favorite examples of voice are Elizabeth Gilbert’s memoir, Eat, Pray, Love, and Marisa de los Santos’ novel, Belong to Me. For me, the unique voices in these books bring their respective stories to life in a captivating way that makes me feel as if I know the characters on a very personal level and, by the end, leaves me wanting more. As writers, we all know that the most challenging thing about “voice” is finding your own. At times, I’ve wondered if there was a class I could take or a book I could read that would magically reveal mine. But I’ve come to learn that voice is one of those things that can’t be bought or taught, it just sort of has to develop over time (and with LOTS of writing!). The good news is that awarding-winning novelist and writing instructor, Barbara Samuel O’Neal, has made this challenging task a little easier by sharing the Voice Worksheet she developed to help writers discover this critical element. Thanks, Barbara Samuel O’Neal, for sharing the wealth! What tools and resources helped you find your voice? It’s so interesting that you’ve written about this…I was just thinking about a writer’s voice earlier this week. ALthough in my context I was thinking about why a writer chooses to write about a certain theme over and over again. Thanks for the link to Barbara’s site, that’s a great exercise. Glad you enjoyed the voice exercise. As a teacher, I’ve tried to encourage my students to develop their own voice. Sometimes they do (third graders). I had a great class about 7 years ago. Two girls wrote their own little books and I still have them. THEY had voice! I could always pick out Vanessa’s and Leslie’s papers. Good topic! That’s so cool, Cheryl Ann. Voice is definitely one of those things…when you’ve got it, you’ve got it. Glad you found this helpful, andi. Thanks for reading along!